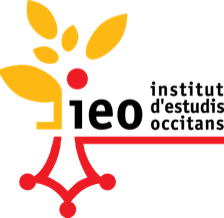 The present General Terms and Conditions apply from their online release onwards, without any restriction or reservation, to all sales completed by the Librariá occitana, the Limousin Institute for Occitan Studies bookshop, with non professional buyers willing to purchase the products offered for sale by the seller on this website https://libraria-occitana.org. These conditions apply excluding any other conditions in particular those applying to in-store sales or any other distribution channels and marketing. These General Terms and Conditions are accessible at any time on this internet website and will prevail, if necessary, over any earlier version or any other contradictory document. 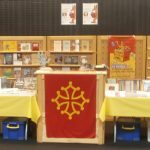 The data recorded by the Librariá occitana, bookshop of the Limousin Institute for Occitan Studies, constitute proof of all transactions between the web-site and its customers. You may of course order the products offered by the Librariá occitana as a business customer. 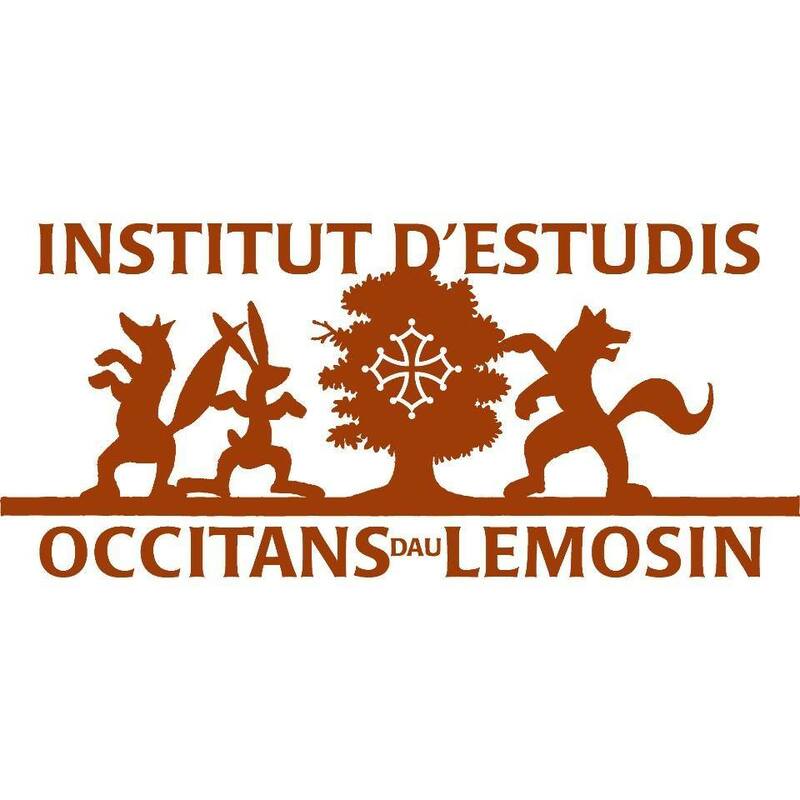 In this case, you will have to write to libraria.occitana@ieo-lemosin.org or call us at +33 (0)5 55 32 06 44.
https://libraria-occitana.org/ offers for sale books, CDs, and all sorts of items related to the Occitan language and culture. The Librariá occitana is completely free to choose the products offered on line and reserves the right to add or remove any item without due notice. The site tries to display and describe the items on sale as best it can. Photographies and texts copied and illustrating the products are not contractually binding. No change in product features and no errors inadvertently introduced may give rise to a claim for damages. In no way will the responsibility of http://libraria-occitan.org be committed. Our offers of products and prices are valid for as long as they appear on the site. We try our best to update our stock and ensure regular supply. If your order is nevertheless not or no more available, we will inform you (by e-mail or telephone) very shortly. We will propose a new delivery time so that you may either cancel or change your order. – if one or more items are available, you will be proposed the refund by cheque of the difference or a credit on your next order. We try our best to meet the demands of our customers and execute their orders. Yet, we cannot be held responsible in case of temporary or permanent unavailability of certain products. By validating the order at the end of the ordering process, the customer expressly declares his consent to the order as well as the entirety of these Terms and Conditions of Sale without reserve or restriction , with the data recorded by the Librariá occitana constituting proof of all transactions between the customer and the Librariá occitana. The data recorded during payment operations constitute a similar proof of the customer’s payment for the selected products. The seller reserves the right to cancel any order from a customer with whom there is a dispute concerning payment of a previous order. Products are provided for the price given when the order is placed with the vendor. The prices of books are defined in the strict respect of the Lang Law n° 81-766 of August 10th, 1981 (the unique price of a book). Prices are established by publishers who can therefore modify them without notice. All prices are in euros (€). All orders whatever the country they come from, are payable in euros (€). These prices do not include delivery charges or taxes and customs duties levied on imported goods, in accordance to the law in force in the country of delivery. The Librariá occitana reserves the right to modify the prices without notice. The products will be invoiced at the price in force at the time the order is received, subject to availability. The products remain the property of the Librariá occitana until effective payment of the total amount due. An invoice will be issued by the seller and sent to the customer on delivery of the ordered products. Sales and promotions advertised by the Librariá occitana on its website are exclusively valid on https://libraria-occitana.org and not in store (unless otherwise stated). Your orders are payable in euros (€), by cheque or bank card. Payment by bank card, thanks to the secured payment system PAYBOX (Blue Card, Visa, MasterCard). Bank card payments accepted by the Librariá occitana must be first certified to be validated. Bank cards issued by banks outside the French territory must be international bank cards. Your order is mailed upon reception and acceptance of your payment. Payment in euros by bank cheque is accepted. In this case, your selected items are reserved and sent on reception of your cheque. For all purchase above 300 €, the ordered items are sent after cashing-in of the cheque. For the cheque-cashing to be valid, the cheque must be issued by a bank domiciled in France, and must be made payable to Librariá occitana and sent to Librariá occitana – 42, rue Haute-Vienne – F-87000 Limòtges / Limoges. The invoice cheque must be received by the Librariá occitana within 10 (ten) calendar days following the date of the on line order, or the order is automatically cancelled by the Librariá occitana. The cheque is deposited for cashing-in upon reception by the Librariá occitana. Payments by the customer shall be deemed to be effected on the date when they are cashed in by the seller. In case of a customer’s failure to pay for all or part of the order, the seller retains ownership of the sold products until full payment has been made, allowing him to claim back the products. The Librariá occitana uses a safety system for the protection of card account data, the SSL coding system and an Electronic Payment Terminal Paybox, provided by our bank, the Crédit Coopératif. The payment by bank card of validated orders is performed online at https://libraria-occitana.org/ via this interface of secure payment. shipping to a Mondial Relay location by providing the contact details in the insert « Order notes » (→ view the list of Mondial Relay points). 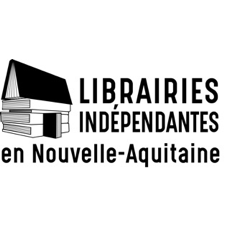 The Librariá occitana gives you the possibility to order a product and collect it at the shop, 42, rue Haute-Vienne, F-87000 Limòtges / Limoges. On line payments are free of delivery costs. Once your payment is accepted, the Librariá occitana agrees to reserve your order for thirty (30) calendar days. In case of non withdrawal within that period, a reminder mail will be sent. If we do not hear from you within the ten following days, the order will be cancelled without any refund possible. To retrieve his order, the customer will have to produce his invoice and an identity document (ID card, driving licence or passport) at the shop. You are warned by e-mail that your package has arrived at the Mondial Relay point. You can get it by presenting your identity card to the shopkeeper. Items are delivered anywhere in France and abroad. For deliveries outside continental France, taxes and customs duties levied on imported goods may apply : they will be chargeable to the customer. 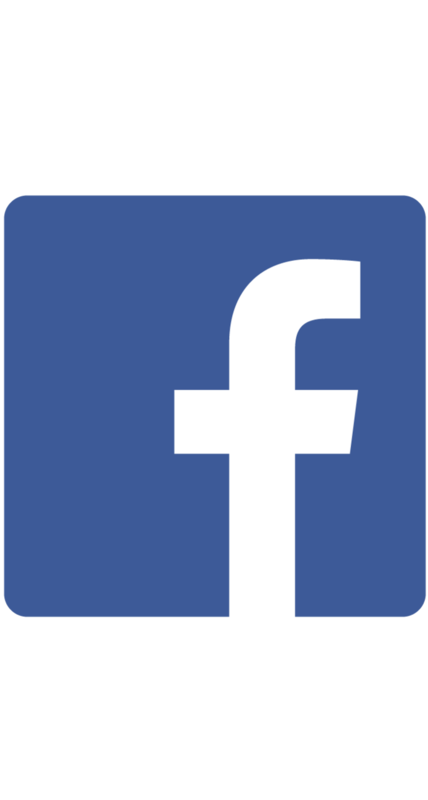 The items will be delivered to the address provided by the customer when documenting personal data. The Mondial Relay service only applies to metropolitan France. The customer is advised upstream of the payment of delivery charges that include packing, handling and shipping. Delivery costs vary depending on the weight of the package and its destination. Up to one kilo, the order is sent by priority letter (the Colissimo shipping is possible, if you prefer), above one kilo, via Colissimo with tracking. For any other type of delivery, please, contact us. For overseas delivery charges above 2 kilos, please, contact us. For Europe and the rest of the world, you can use International Parcel « Books and Brochures ». It takes longer and is less secure but much cheaper. Contact us if you are interested. For shipments outside continental France, the customer must pay all taxes and customs duties levied on imported goods under the laws of the country receiving the order. Whatever the delivery location in France and the weight of the package, the delivery charges are 6,90 €. Delivery is free on orders of 100 € or over in metropolitan France, provided you choose a Mondial Relay point. You should know that we take great care to pack our products properly. Remember to group your items in one order. We won’t be able to group two distinct orders and shipping costs will be charged for each order. After reception of the order and its payment, the products are shipped within 48 hours maximum on working days (from Monday to Friday at 12 a.m.), as long as supplies available. Orders placed on Friday after 12 a.m. will be processed on Monday morning. In case of extended delays (due to holidays or special events), the customer will be informed on the website and upstream from the ordering process. The packages are then entrusted to the Post or the Mondial Relay shuttle. The delivery dates indicated are not contractually binding. See the above table for the Post. For the shuttle, the average delivery time is three working days after the parcel has been handed in at a Mondial Relay point. According to the Hamon Consumer Affairs Act n° 2014-344 of March the 17th 2014, if your delivery was delayed for more than 30 days, you would be entitled to request the refund of amounts paid from the Librariá occitana under the conditions stipulated in Chapter II, Section 4, Article 23. The customer can track his order by logging on to his personal space. In the case of a Colissimo with tracking delivery or a Mondial Relay shuttle delivery, you are sent an e-mail with a tracking number as soon as your order is shipped, so you can follow it on the site https://www.laposte.fr/particulier/outils/suivre-vos-envois for a Colissimo delivery or on the site https://www.mondialrelay.fr/suivi-de-colis/ for a Mondial Relay delivery. In case of absence during the delivery, a transit advice note will be deposited in your letter box indicating the address of the nearest post-office where your parcel can be withdrawn. Colissimo : your parcel must be collected within 10 days for a Colissimo order. On expiry of this period without withdrawal, an e-mail will notify the customer that the parcel is sent back to the Librariá occitana. The customer will be charged for this second shipment. Mondial Relay parcel : the parcel is to be fetched within 7 calendar days. The customer is warned by e-mail that his parcel has arrived. After this time, the parcel is returned to us. The customer shall inform the Librariá occitana on the very day or at the most on the first working day following the delivery of faulty or non-compliant products. or by telephone at n° +33 (0)5 55 32 06 44. With reception of the complaint, the Librariá occitana will contact the customer by e-mail or by telephone to agree on exchange or reimbursement arrangements. via parcel service to the Librariá occitana – 42, rue Haute-Vienne – F-87000 Limòtges / Limoges. The Librariá occitana will cover return costs in the case of faulty products or mistaken deliveries. directly to the shop during opening hours except on Saturdays (Opening hours on the right). For an exchange, the products corresponding to the initial order will be sent back free of charge by the Librariá occitana ; an exchange at the shop will be done on the spot as far as possible. In any case, the Librariá occitana commits itself to exchange or reimburse these products within ten (10) days after reception of the parcel or its return to the shop. All claims not made in compliance with the above procedure will not be considered and the Librariá occitana will disclaim all liability. In accordance with current legal stipulations (Hamon Law – 2014), the customer has 14 days from retrieval of the product at the shop or its home delivery to retract without cause. The retraction period expires fourteen days after reception of the order. Some of the products, in particular video-cassettes, CDs, CD-Roms, or DVDs if they have been ripped open by the customer as well as newspapers, periodicals or magazines, are not subject to the right of retraction and cannot be reimbursed. call the Librariá occitana at n° +33 (0)5 55 32 06 44. In any case, the retraction form must have the surname and first name of the customer as well as his purchase order number. The customer must then re-ship the product, complete and unaltered within fourteen days of his retraction, along with a copy of the purchase invoice. For security reasons, it is advisable to send it by registered post. The customer will be charged the re-shipping costs. The items returned incomplete, damaged, spoiled or so dirty that they are unsaleable will be sent back to the customer who, when appropriate, may be held liable. evidence supplied that the customer has sent back the product in its entirety (mentioning the name of the sender, the recipient’s name and the product shipped). The refund is made in the same way as the payment method used by the customer. The customer is informed that the reimbursement of initial shipping costs will be based on the weight of the returned items. So if the customer returns the entirety of his order, he will be reimbursed the entirety of initial shipping costs. For information on the procedure for withdrawal, the customer may call the Librariá occitana at n°+33 (0)5 55 32 06 44 during opening hours except on Saturdays (Opening hours on the right). For any person, natural person or legal person, the act of placing an order on the Librariá occitana website (https://libraria-occitana.org/) implies full acceptance and adherence to these Terms and Conditions of Sale ; this is expressly understood by the customer, who agrees, in particular, not to recognize any contradictory document, which would be void by the vendor. The salesman, in the process of on-line sale, is held only by a best effort undertaking ; his reponsibility cannot be committed for any damage resulting from using the Internet network such as loss of data, intervention, virus, breakdown of the service, or any other involuntary problems. No guarantees can be applied in the event of wrongful use, negligence or faulty maintenance on the part of the customer or in the case of normal wear and tear on the item or force majeure. The products sold on the website conform to French regulations. The salesman’s liability cannot be involved in case of non-compliance to the law of the country where the product is delivered, which is up to the customer to verify. The photographs and illustrations that accompany products displayed on the site have no contractual value and the vendor cannot be held responsible for them. The customer is responsible for his own choice of products and after delivery, the preservation of products until consumption. The vendor will not be considered liable or at fault for any delay or breach following the occurrence of a case of force majeure which is recognized in the usual way by case law (such as disruption and/or partial or total strikes in the postal services and/or means of transport…) or in the event of unavailability or out-of-stock condition of the product. The vendor will not be considered liable for losses of benefit, commercial losses, losses of data or loss of earnings or any other consequential damage. This website includes hyperlinks to websites other than http://libraria-occitana.org/. 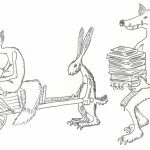 The Librariá occitana accepts no responsibilty for the contents of any linked sites and cannot be held responsible for the existence on these sites of quotes or dispositions contrary to currently enforced laws and regulations. Ownership of the products does not pass from the seller to the buyer until the price has been paid in full by the buyer regardless of the date of delivery of such products. These terms and conditions are governed by French Law. By express consent of the Parties, this Agreement is subject to French law, excluding any other legislation. The customer and the Librariá occitana will give priority to an amicable solution before any legal action. In the event of litigation, the Limoges courts (87000) will be only qualified. 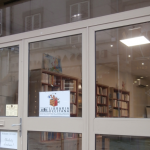 The Librariá Occitana is the Limousin Institute for Occitan Studies bookshop. Access to the website and consultation are free. However, personal information may be required to provide the e-services you request, for example to place an order. The collection of personal data is essential for business relationships and execution of orders. We measure the number of page views, the number of visits, in addition to the the activity of visitors to our website and their origin. These non-personal data are provided by Google Analytics (TM). General Terms and Conditions of Sale validated in their entirety.